Having gone through the various solutions in Section 3.0 before, you need to state which one you would propose and why. Now you really need to sell this solution so that those reading this document are convinced that this is the right approach to go with. Otherwise you will simply end up having ever more debates and discussions which go nowhere and simply stop you from being able to manage a project. The project business case should document what the project will produce ie the result and the benefits which will be realised as a result. Obviously if the Organisation is considering spending project time and cost in developing and deploying functionality, it will want to know what it is going to get as a result. Will it be an increase in sales of 20%? Or perhaps its a reduction in manpower utilised in maintaining a system. Whatever it is, it needs to be documented both in words and usually in figures as well in Section 7.0. The organisation needs to prioritise when projects will take place, otherwise everyone would simply demand that everything was done immediately which obviously is not practical. 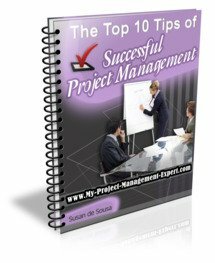 Therefore the project business case should detail why the work needs to be a done at a certain time. Maybe it is a project which will increase sales at Christmas? Perhaps it is one linked into another project which is being deployed? Whatever the reason, it needs to be documented in the business case for review. A representative from the finance department will usually devise these in consultation with someone with business analyst skills. Now this isnt your normal project cost estimation. Instead this ideally should detail the revenue, costs and the proposed incremental sales increase which can be expected. Of course these will all be at an extremely high level, but it will at least give the organisation an idea of the type of cost and return they will be looking at should they decide this business case should move forward and become a fully fledged project. It should also contain projections depending on different economic scenarios if the project being proposed is developing a launching a consumer or business product. As you will see from this, a project business case is focussed much more on the work required, the reason for it and the benefits which are supposed to accrue as a result. It is therefore very different from say a project justification document or project initiation document which are both heavily focussed on getting the functionality required delivered, rather than concentrating on the reason why it is required in the first place.